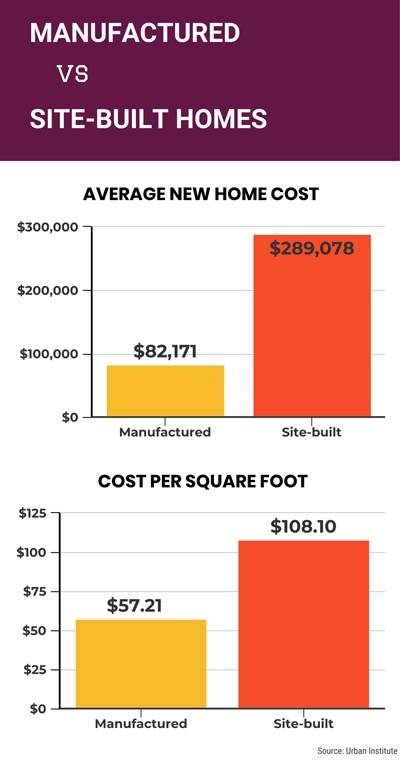 I’ve been wondering why so few manufactured homes are being made, when manufactured homes could ease the affordable housing crisis in New Hampshire and nationally. Recently, the Urban Institute provided some answers. The Urban Institute’s authors confirmed on a national scale what we’re seeing locally. Although manufactured housing is far more affordable (35 to 47 percent cheaper per square foot than new or existing site-built housing), the number of new manufactured homes being shipped has plummeted, from 242,000 per year between 1977 and 1993 to just 92,500 units in 2017. The authors cited three primary reasons: restrictive community zoning, the lack of traditional mortgage financing, and manufactured homes losing value over time. We’ve championed manufactured homes as an affordable housing solution for 35 years and are addressing two of the three barriers the Urban Institute describes. We see growing demand for manufactured homes as rental costs and site-built home prices soar out of reach for low- and moderate-income people. For these homebuyers, the lack of financing is a huge barrier. Most traditional lenders don’t finance manufactured homes, and the few that do won’t include the costs of installing new homes. We’re solving that problem in New Hampshire with Welcome Home Loans—fair, fixed-rate, low-down-payment, 30-year mortgage loans that cover a manufactured home’s purchase, site work, and installation. We recently helped a woman refinance a manufactured home she’d bought by charging $80,000 on four credit cards. “I didn’t think there were any mortgage loans available for mobile homes,” she said. “I tried banks, brokers, everyone. All I wanted was a loan.” Paying off the credit cards and using a small amount of cash back to better insulate her home is saving her $287 a month. For lower-income homebuyers, we also offer down-payment assistance for new manufactured homes. We can’t guarantee this special program will be available after this season, so if you know a homebuyer ready to own a new manufactured home, and still hunting for financing, please share the word. The Urban Institute also cited the depreciating value of manufactured homes. We’ve seen a major shift in N.H. since our ROC-NH™ program began helping homeowners in manufactured-home parks purchase and manage their communities as cooperative corporations. A study of assessments and sale prices in one N.H. community over an 11-year period showed that homeowners in resident-owned communities—partly because the land under their homes was secure and because their buyers had access to fixed-rate home financing—enjoyed higher average home sales prices and faster home sales than their counterparts in investor-owned communities. They also paid lower average lot rents (the monthly fee for using the land under their homes), another value consideration. If part of the value problem for manufactured homes in parks is that their communities can be shut down at any time, cooperative ownership is part of the solution.